Concentrations of V, Mn, Fe, Cr, Co, Cu, Zn, As, Se, Mo, Ag, Cd, Tl, Hg, Pb, and organic mercury (Org-Hg) were determined in liver, kidney, and muscle of healthy Caspian seals (Phoca caspica) collected in 1998. These concentrations were compared with those of seals infected with canine distemper virus (CDV) found stranded along the coastal areas in 2000. 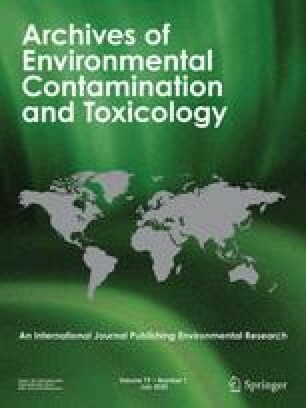 Concentrations of toxic elements (As, Ag, Cd, Tl, Hg, Pb, and Org-Hg) in Caspian seals stranded in 2000 were comparable or lower than those of samples collected in 1998 and in other pinnipeds. Thus it may be inferred that these elements were not the causative agents in the deaths of the seals. In contrast, concentrations of Zn and Fe were much higher in diseased Caspian seals than those in other pinnipeds. Zinc concentrations in all tissues of Caspian seals also increased during 1993–2000. Furthermore, negative correlations were found between blubber thickness and hepatic and renal Zn concentrations. These results imply the disturbance in homeostatic control and nutritional status of essential elements in Caspian seals stranded in 2000.